Celebrating its 25th anniversary this year, Tin Pan South also marks another major milestone. Fans will have a record 100 shows to choose from at this year’s festival, slated to run March 28-April 1. Over 350 songwriters will perform at 10 of Music City’s top venues during the five-day festival. In past years, noted Nashville music home 3rd & Lindsley hosted one night of Tin Pan South. This year, the venue has a full slate of 10 shows scheduled to entertain attendees. Shows will also be held at the Blue Bar, The Bluebird Cafe, The Country, Commodore Grille, Douglas Corner, Hard Rock Cafe, the Listening Room Cafe, Station Inn and Whiskey Rhythm. 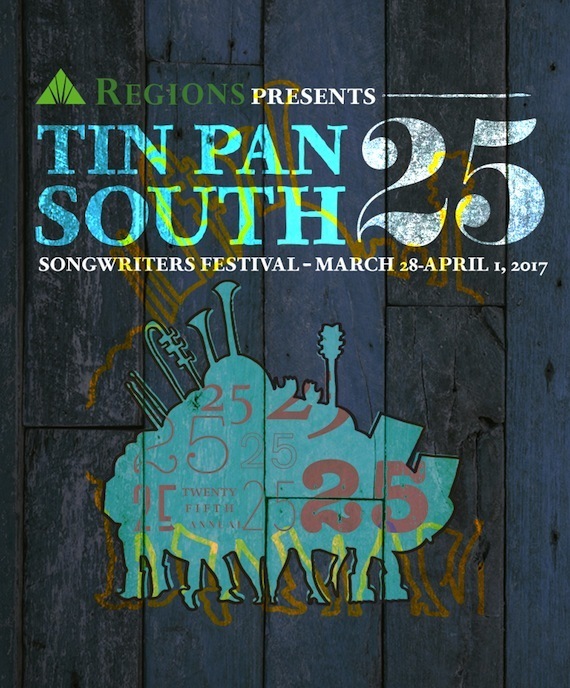 Produced by Nashville Songwriters Association International (NSAI) and sponsored by Regions Bank for the 10th year, Tin Pan South is the world’s largest all-songwriter festival. Last year, over 350 songwriters performed 92 shows at Nashville’s top music venues. Tickets go on sale Feb. 28 at 10 a.m. CT at tinpansouth.com. Tickets are $125 for non-NSAI members, $115 for NSAI members.